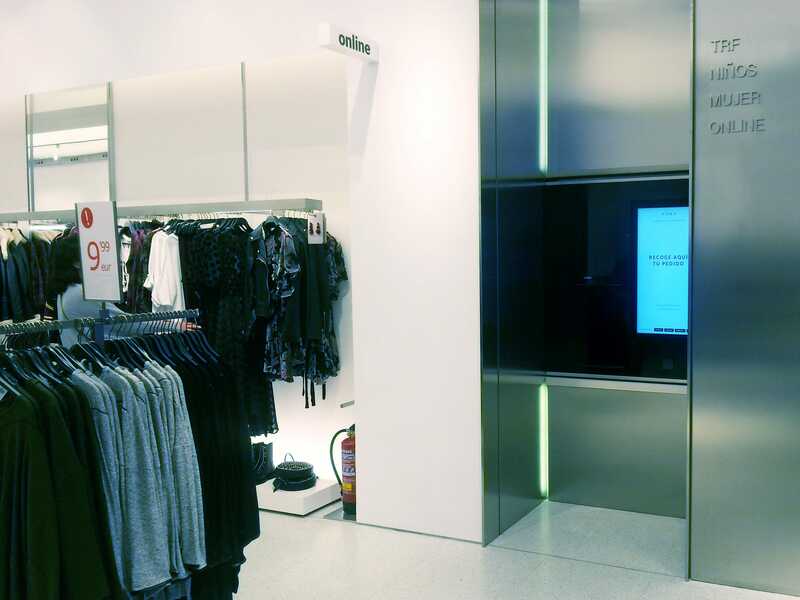 CleveronThe next generation of Walmart’s pickup towers are popping up in Zara stores. Zara is testing the next generation of Walmart‘s pickup towers. Inditex, the company that owns Zara, is in talks to potentially roll out the technology to more stores. The company behind the machines says they could soon pop up in grocery stores as well. Walmart’s giant pickup towers for online orders have found a new home in retail: the clothing store Zara. Zara is testing the newest version of the machines, called CleverFlex, at a store in Spain. 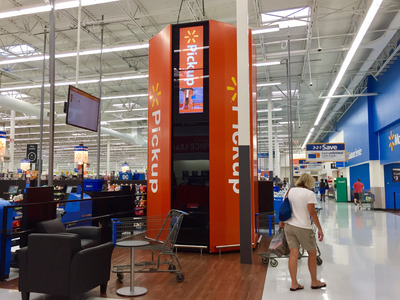 Business Insider/Hayley PetersonWalmart is rolling out pickup towers to 500 stores. Like Walmart’s pickup towers, the CleverFlex machines are self-service kiosks that retrieve customers’ online orders. Both machines are made by the Estonia-based technology company Cleveron. But the CleverFlex looks nothing like Walmart’s bulky, bright-orange pickup towers. 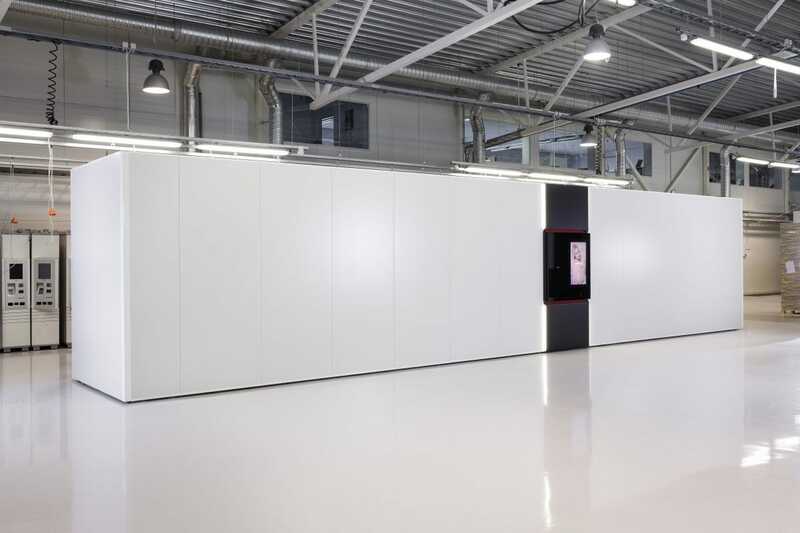 The CleverFlex has a sleek white exterior and a modular design that allows retailers to customise its height and width and even hide it behind a wall. The machine can hold about 4,000 packages, which is double the amount that Walmart’s pickup towers can hold. 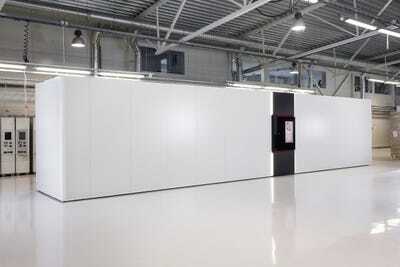 The new machines are also faster than Walmart’s pickup towers, according to Cleveron. This is an impressive feat considering the fact that Walmart’s towers retrieve packages in a matter of seconds. CleveronThe Cleveron has a sleek, modular design. The Zara test is currently limited to only one store, but it could be rolled out to more locations soon. Zara parent company Inditex, one of the largest fashion companies in the world with more than 7,400 stores, is currently in talks with Cleveron over a possible wider rollout of the technology, Cleveron CEO Andres Liinat told Business Insider. Several other major retailers have also approached Cleveron about the technology, Liinat said. The machines are meant to simplify and speed up the pickup process for customers who order items online and have them shipped to stores. At Walmart, the pickup towers are located right inside the store entrance. Shoppers scan a barcode on their phones, and the machines retrieve their packages within seconds. Shipping products to stores is becoming an increasingly popular option for customers, as more and more companies look to reduce shipping costs and leverage their brick-and-mortar locations by giving shoppers incentives for in-store pickup. It won’t be long before customers start seeing the technology deployed in grocery stores, according to Liinat. “There is very big potential for grocery pickup points,” he said.